We are a small, very focused digital marketing agency composed of marketing experts, wordsmiths, visual designers, web designers, public relations, social media experts and operations professionals with over 30 years of experience and success marketing adventure lodges. We are nimble, responsive and get things done. Locate in Salt Lake City, Utah we utilize local cost effective vendors, best practices, and on-demand expert talent to generate creative and innovative lead generation tactics for our clients, on budget and on time. Online guest reviews are more important than ever. In researching vacations, potential customers are proactively seeking information about the experiences of previous guests. Reviews and star ratings on websites like TripAdvisor, Facebook and Google all play an extremely important role in getting new customers to book. 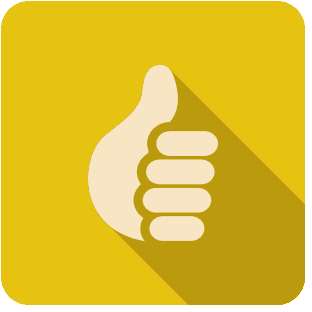 The more reviews available, the more trustworthy a lodge or guide will appear. With 61% of travelers trusting online reviews and half unwilling to book until reading them, the numbers certainly reinforce the need to encourage guests to write reviews. Outdoor Adventure Marketing built automated post-visit emails for our clients, these are triggered by the departure date of their stay at the lodge. 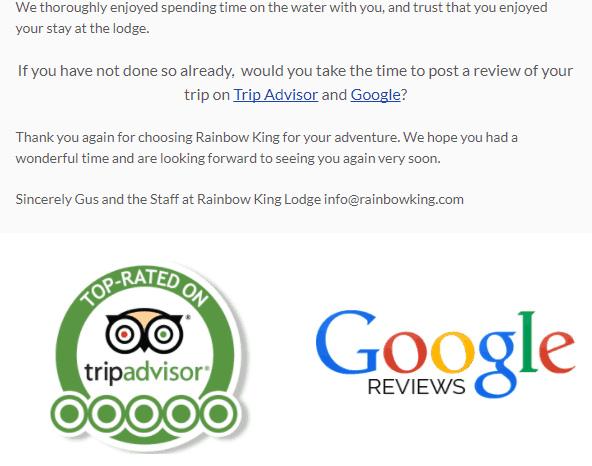 The emails thank the guests for their visit to the lodge and asking them to review their visit on TripAdvisor, Google and in some cases Orvis.com. 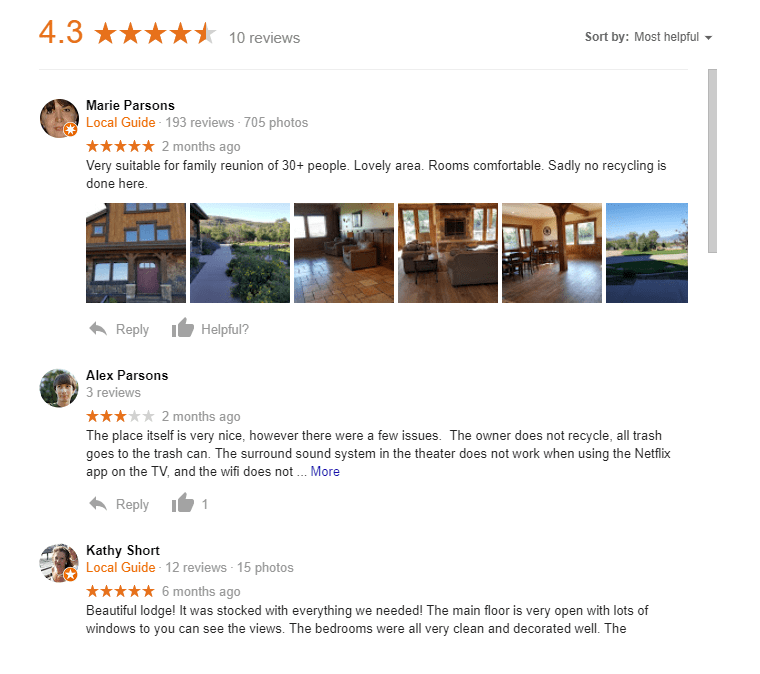 Guests receive the first email five days after leaving the lodge, and another email is triggered five days later if they do not click on the review links in the first email. Our clients were struggling to get reviews, simply asking guests when the left the lodge to please write a review when they got home was not working. Outdoor Adventure Marketing’s automated post-visit email series has generated double the number of reviews over last year for all clients. The use of mobile devices is going to impact how your target visitors interact with your website, emails and any other web content. Resorts, guides, and lodges that want to get the most out of their websites and emails are going to need to evolve in order to stay relevant for the modern web browsing prospect. Using our team of on demand talent and project management skills. Our team provides excellent support for our clients. We’re available to answer questions about marketing opportunities and to bounce ideas off of. The open dialog allows us to be a resource our clients can count on. We have the very best talent in the outdoor marketing arena, graphic designers, social media experts, analytics experts and email designers. We’re at it every day, working on your success, no office hours, we all follow through till the job is done. It has been said that most marketing does not work because it never gets done. We get things done!